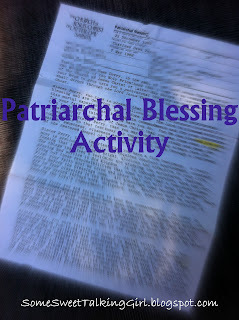 The goal for our Wednesday activity was to talk about Patriarchal Blessings and help the girls pass off Individual Worth #2. Since we were doing this during the week I wanted to do something fun! 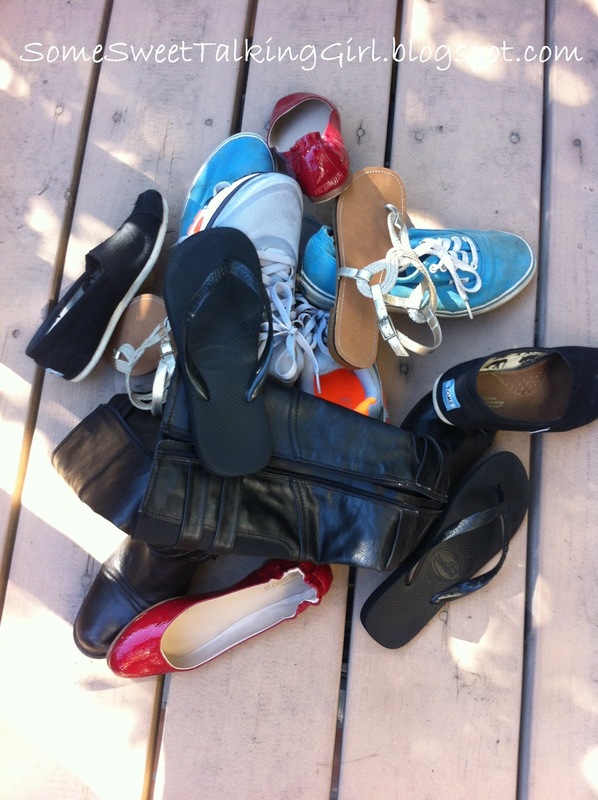 We talked about how the shoes did not fit us, that it was a bit uncomfortable and that it would be so much better to have had our own individual shoes. Then we talked about our Patriarchal Blessings- How our Patriarchal Blessings are unique to us, that it is a personal blessing from Heavenly Father to us, an opportunity for him to give counsel, blessings and warnings. I am so grateful for my Patriarchal Blessing, It has given me an opportunity to see truly how my Heavenly Father feels about me & gives me insight into my premortal existence. He also gave me very strong warnings- I am grateful to know that he knows me personally and knows I need blunt- and that is what he gave me. Thanks for the great idea! I am the YW president in out little Navajo Reservation branch. This will help them remember patriarchal blessings every time they put their shoes on! Hi! THanks for your ideas. Im in Mexico and we sometimes dont have a lot of fun ideas for our girls. I am doing this tonight with our young women's, I am so excited!! Thank you! !